Considering that Trappist brews, such as Belgium’s Westvleteren 12, often crack the echelons of “Best Beer in the World” lists, this news is enough to make some beer snobs fall right off their bar stools. Pretty Things brewer Dan Paquette worked closely with the abbey, introducing the monks both to what good beer should taste like and how to make their own. 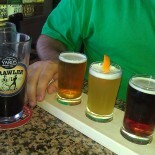 “These guys didn’t go into the abbey to be brewers; some of them joined when they were 17, 18,” Paquette laughed. After studying with Pretty Things, a couple of the monks went to Belgium, visiting various Trappist monasteries, on a “two-year data-gathering mission” that might sound fairly enviable to those not of the cloth. 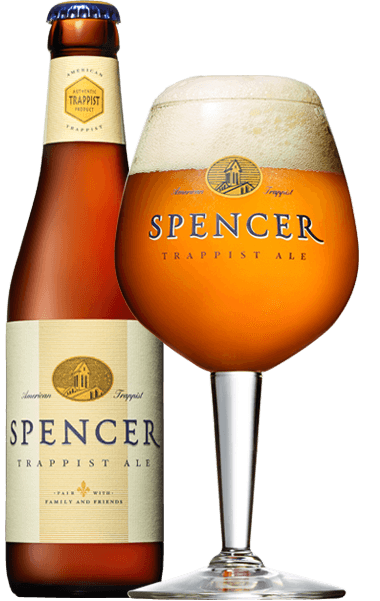 Along with the Trappist mystique, the beer’s taste should share some of the credit. We got our paws on two bottles, and it’s a classic, super-drinkable ale in the Belgian tradition. It doesn’t have too much yeastiness, and is neither malty nor hoppy; as Paquette affirmed, “it has sort of a refined body and overall texture.” Cloudy golden in hue, with a delicate lace (that’s expert speak for the foam) and tiny, sparkling bubbles, this is the sort of beer we can see ourselves getting into over the summer, especially to serve alongside cheese or grilled chicken. As for whether they enjoy the beer they brew, the rep we spoke to noted that the monks pray in church seven times daily, beginning at 3:20 in the morning and ending at 8pm at night. 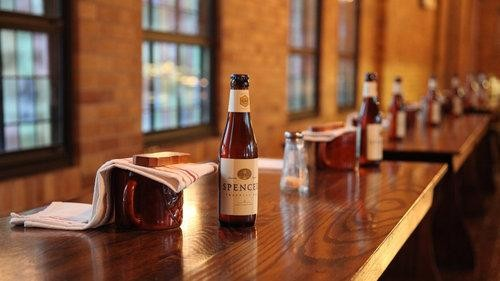 Only at Sunday supper, which lasts only 20 to 30 minutes, and “on major feast days,” do the monks themselves enjoy a glass of the ale they brew. It’s the sort of restraint that wouldn’t come easily to most, especially when the beer is this good.